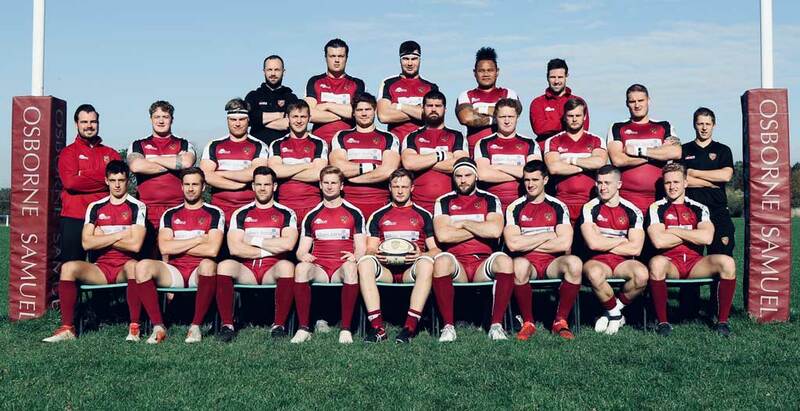 Match Report: 1st XV v H.A.C. SOMEHOW CHILTERN CONTRIVE TO LOSE A FRENETIC GAME BY A SINGLE POINT! HAC only have access to their City of London ground a couple of times a year so play most of their home matches on the 3g pitch at Chiswick. It was a very soulless place with pretty much just the Chiltern faithful providing the spectators. For the first 20 minutes it was as if Chiltern hadn’t played together all season. Penalty after penalty conceded, missed tackles all over the place, it was pretty dire and to add insult to injury, playmaker Stuart Pearham who was back after his suspension then took a finger in the eye and had to go off to hospital as he was suffering from double vision. I am pleased to say that he is fine and should be good to go next Saturday. HAC took full advantage of Chiltern’s woes with 3 penalties in the first half which didn’t contain much rugby and half time came with them leading by 9-0. Early in the second half Monty Weatherall finally got Chiltern on the board with a long range penalty but two dropped kicks and a zigzag defensive line allowed HAC a simple run in under the posts 3-16! I’m not sure what then happened as Chiltern suddenly started playing rugby and with urgency and much more accuracy. Two tries from Teddy Reus and Dan Kingsley, one of which was converted by Weatherall and Chiltern were back in the game 15-16. However another over elaborate move whicg went wrong gave HAC field position and they rumbled over for their second try which was unconverted 15-21. With about 15 minutes to go Chiltern then simply camped on the HAC line. A good backs move gave some space and Steve Gibson went over for the third try mid way out on the right. Regrettable Monty didn’t have his kicking boots on and the conversion slid past the post 20-21. Never mind Chiltern went straight back. They pounded the line and had two tries disallowed, HAC were penalised repeatedly and then had a yellow card for yet another offence, Chiltern took the 5m scrum and as HAC splintered it looked odds on a penalty try but no just a penalty, Monty stepped up but again his kick just slid the wrong side of the posts and the game was somehow lost. Yes we missed Stuart’s calm head and goal kicking but the side still had ample opportunity to secure a victory notwithstanding the missed kicks. Just one of those days, in the home fixture we won the game with the last kick of the game, this time we didn’t, that’s just how it goes sometimes!! Next week it is the annual Vice Presidents and Life Members lunch, sit down is 12.30 ahead of a 2.00pm kick off against local rivals Fullerians. We enjoyed an excellent win at their ground earlier in the season but they had a tremendous victory against Old Haberdashers last week so this will be no walk over….